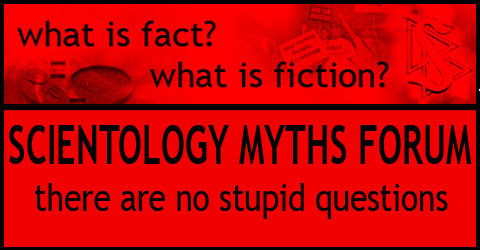 I started updating the information on ScientologyMyths.info, e.g. mentioning the restoration and release of the remaining lectures of L. Ron Hubbard, some fixes on the home page, adding new (official) statistics etc. I am sure you can think of more. Update 17 February 2010: Thanks for the suggestions. I a moving this thread here. Now I understand one thing or two…. – The Church’s property holdings internationally have more than doubled in the last 5 years. The combined size of Church premises increased from 5.6 million square feet in 2004 to 11 million square feet in 2009. – The Church has acquired 66 buildings since 2004 in major population centers around the world. – The Church has completed 401,003 square feet of construction of new premises in the last 5 months. It currently has under construction another 475,887 square feet, including Churches in Washington D.C., Las Vegas, Quebec, Mexico City, Brussels, Rome and Tel Aviv. – There are 8,071 Scientology Churches, Missions and groups in 165 nations, double the number five years ago. – 80 million L. Ron Hubbard books and lectures on Dianetics and Scientology have been sold in the last decade, compared to 5.6 million in the prior decade, and 60 of that 80 million have been sold in the last two years-more than during the first 50 years of Dianetics and Scientology combined. – The number of individuals completing auditing and training has doubled since 2007. – Since the Church undertook to publish and reproduce its scriptural materials in-house in 2007, the average price of Mr. Hubbard’s books and lectures sold has decreased dramatically. – There were 12.4 million visitors to the Scientology website in the last year alone coming from 234 countries, with 23 million video views. – 4.5 million pages of L. Ron Hubbard’s writings have been translated in the last 10 years alone compared to a total of 359,459 for the prior 50 years, making him the most translated author in history-according to the Guinness Book of World Records. Scientology Myths Trailer is up! A very nice person was creating a trailer for ScientologyMyths.info. Feedback wanted as usual! And – please let me know if you miss something. No, not Hancock… though this seems to be a great movie! There is a series of new videos on the Scientology Video Channel, 20 or so, and I wanted to invite anyone interested to watch them. The same videos are also on the Youtube Scientology video channel. My absolute favorite: “Inside a Church of Scientology”. Then there is a short biography about L. Ron Hubbard. Also I found several news clips about Dianetics and at least a dozen new PSAs against drugs. Somebody was really busy in the last month! Enjoy, talk about it, ask questions about it! and thanks for visiting this blog! There are some hot discussions ongoing here at times but I just got reminded that this blog was put up to give you the opportunity to ask questions, about Scientology, Scientologists and whatever you feel it related to that. Let me know, I am interested to read what is on your mind! There has been an increased amount of trolling in the past week. I have better things to do than moderating each comment on this blog, so please get your act together and vent somewhere else.